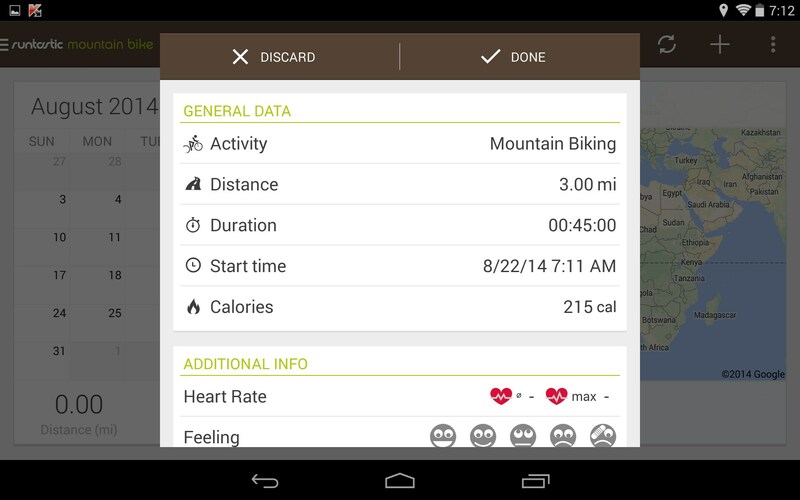 Runtastic Mountain Bike – Soft for Android 2018 – Free download. 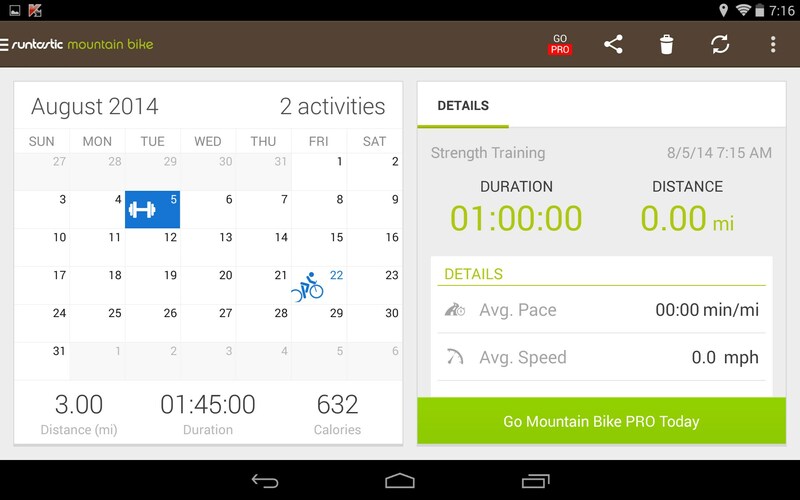 Runtastic Mountain Bike – A training journal centered around biking. 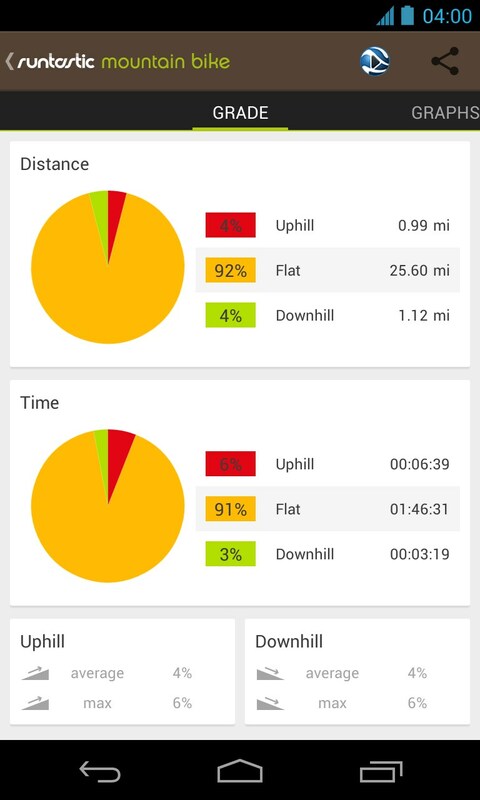 Runtastic Mountain Bike for Android is an activity logger centered around mountain biking, but also integrates an array of cycling and weight training activities. 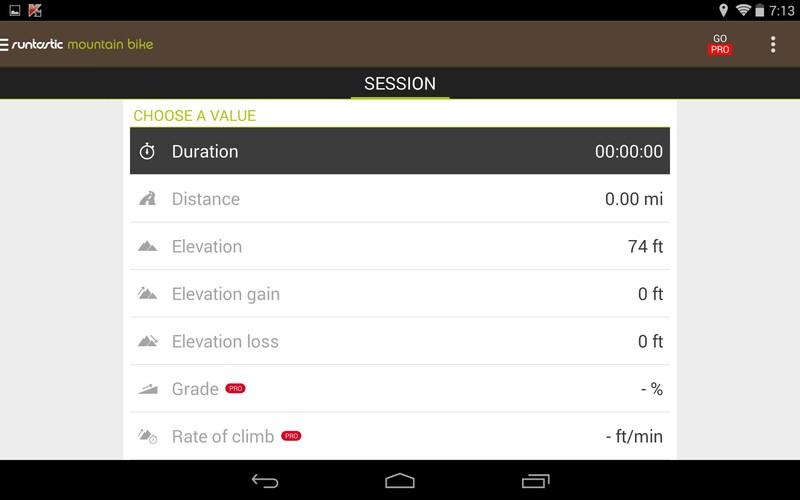 Runtastic Mountain Bike isn't really a training app, so much as it's a training diary. 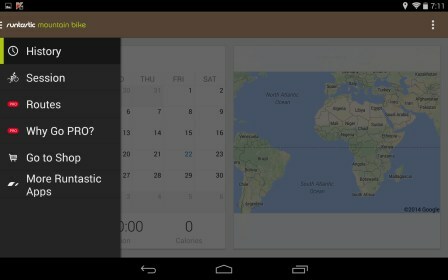 It places all of your logged activities onto a calendar where you can get an overview of your exercise regimen. To begin, just tap Create New Session, select the type of activity you'd like to log, and the app automatically fills in the date and time for you. From there, you select the length of your workout, your mood, the terrain, heart rate and a few other handy tidbits. 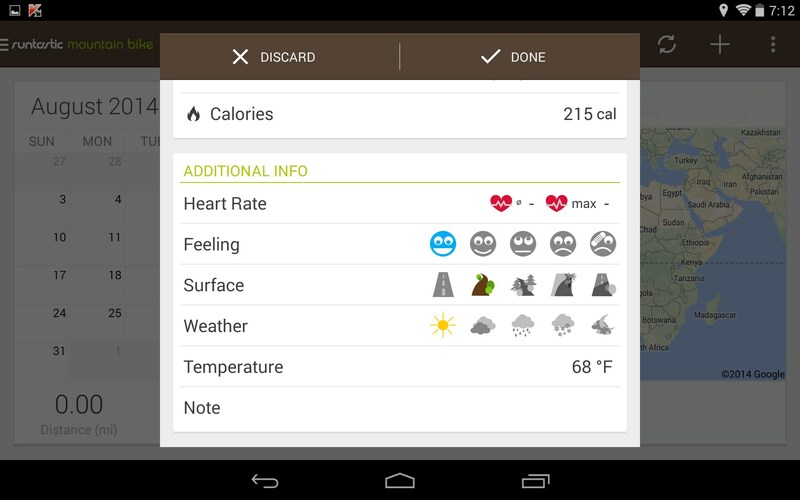 An estimate of the calories burned is entered automatically. Workouts can't be scheduled in the future, though you can go back in time and log past workouts just to keep track of them. As more and more workouts are logged, you'll see icons populating the calendar, denoting the activities you did for each day. Everything is visually pleasing to look at and work with. The calendar is displayed on the left, with activity details appearing on the right. 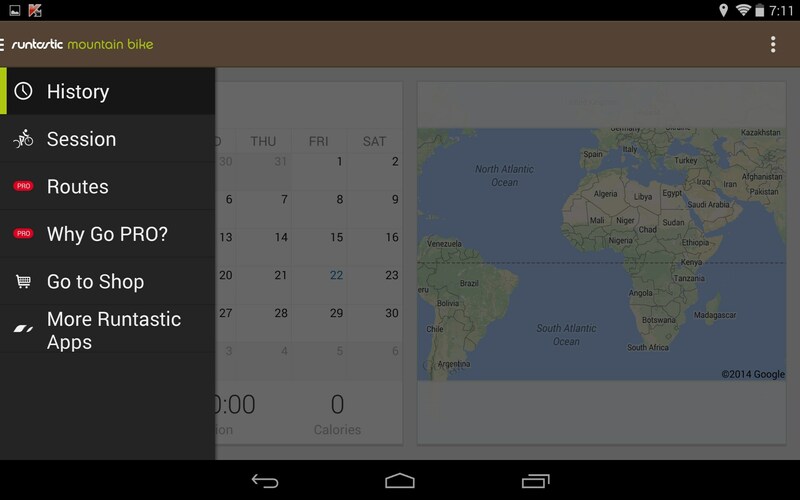 Just tap any icon on the calendar to bring up details. Once you have a few workouts under your belt, the app can display charts showing data about your activities, calories burned, miles traveled, etc. The app does make use of a live GPS map, however, the bulk of functionality offered is only available in the paid version. But the freebie should give you a good idea of what you'll potentially be buying. Compared to other apps of this type, the cost is marginal and a one-time fee, rather than a recurring subscription or membership. Runtastic Mountain Bike is a nice app that functions well for the most part. I did experience some lags, here and there, but nothing serious. I've seen apps that offer more functionality, but they're also more cumbersome to use on the go. This one feels more pared down, and if they make the fonts a little larger, it would be easier to use than most while active.